Chemical engineering graduate and Salters' Prize winner, Annabel O'Fee, is hoping to become a future leader in healthcare product development. 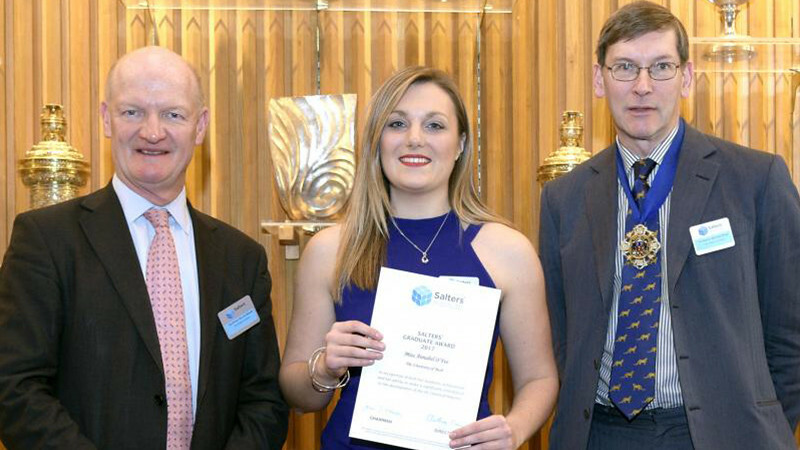 Annabel received her Salters' Graduate Award at a ceremony at Salters' Hall in London. Each year the Salters' Institute awards up to ten prizes to final-year chemists and chemical engineering students. Candidates are assessed on their intellectual ability, communication skills and wider interests to evaluate their potential of occupying future leadership positions in the industrial sector. In 2017, Annabel was one of five chemical engineering students to win the award. She's now working in research and development (R&D) at Reckitt Benckiser, a multinational consumer goods company specialising in health, hygiene and home products. Annabel is on their two-year Future Leadership Programme where she will move between different roles to gain a breadth of experience. "Growing up I always enjoyed science and maths, and I knew that I wanted to apply these subjects in a practical and creative way. I really enjoy working in healthcare product development because I feel like my research will help to relieve people’s symptoms from disease and ultimately help people to get better. It is rewarding being involved in product development because the work I am doing will result in getting a new product on the shelves. It will be very exciting when I see that product in a shop." It was during her placement year at Mondelez International that Annabel decided what she wanted from her career. Her role at the Cadbury manufacturing site as a process engineer included a combination of manufacturing and R&D, with Annabel finding she preferred the latter. During this time Annabel designed pilot plant trials and completed a process improvement project to reduce caramel tailing. "My placement was great for transferring the technical skills I had learnt in lectures into practical knowledge in industry. I enjoyed seeing how a global company works and how all the different functions fit together. My time at Cadbury also really impressed upon me the importance of teamwork and communication skills." Research is also something Annabel experienced during her third-year MEng research project, where she investigated alternative materials to use as membranes in microbial fuel cells. Amazingly, she found eggshell membrane (which had never been used in the field before) produced the best electrochemical results and her findings contributed to a published paper and prize-winning poster. Annabel will spend the next few years working towards her chartership with IChemE. With her placement year counting towards the experience she needs, she hopes to be chartered within the next five years. She aims to put ethical and environmental issues at the heart of the decision-making process in her industry and feels ready to take on any challenges that may lie ahead. "The modules I studied during my chemical engineering degree were very varied, so I've developed a diverse set of skills. Thanks to my MEng research project I know how to communicate my research in a clear and concise way. I've learned how to problem solve and to think logically through a process, which I can apply to any problem I face in my career. During the group design projects, I gained experience working in a group and leading a team, which has been very helpful for working in industry." 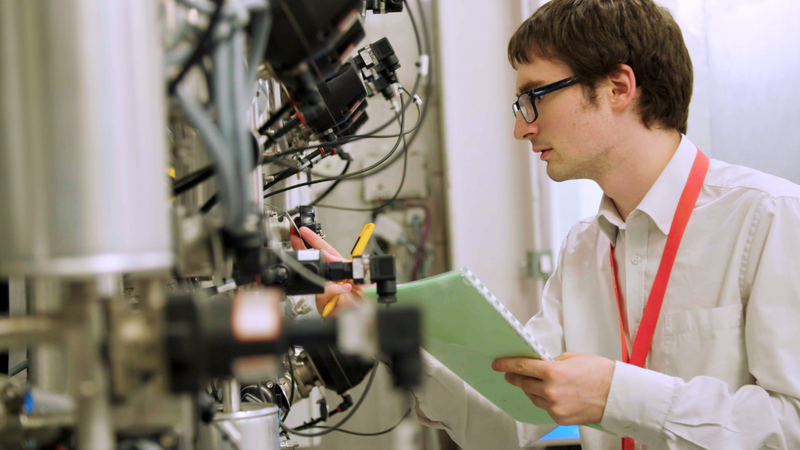 Find out more about becoming a Chemical Engineer at Bath. 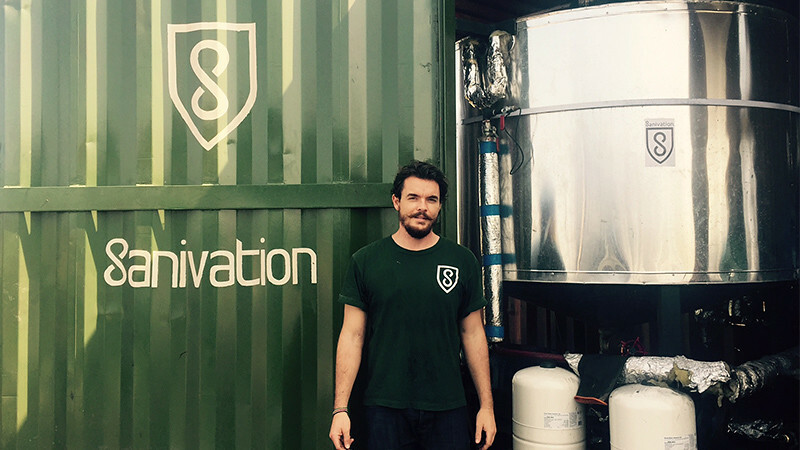 Chemical engineering graduate, Jack Jones, has developed an innovative toilet design and waste recycling process to improve living conditions at Kakuma. 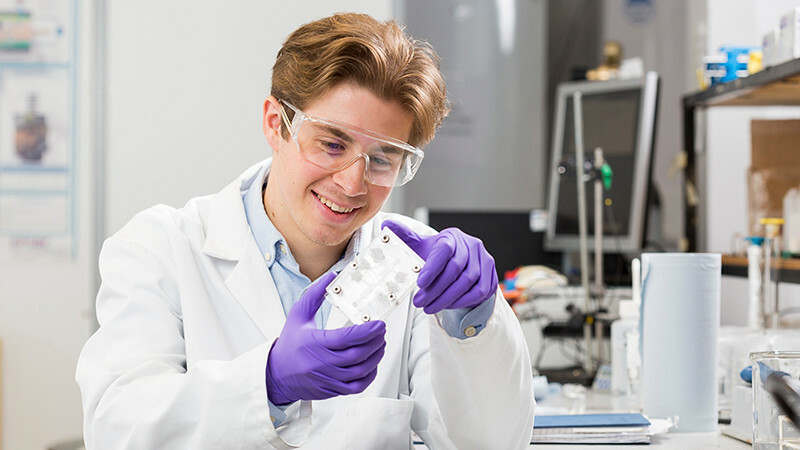 For his research project, chemical engineering student Luke Wilson investigated how to reduce the size and cost of an enzymatic biofuel cell.